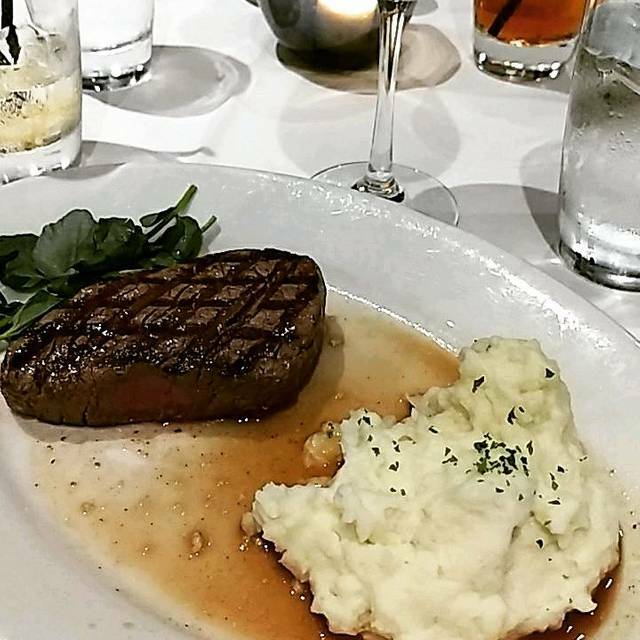 Mortons continues to be the best steakhouse in Charlotte. This has become our go-to spot in Uptown. The staff and food/drink are consistently top notch. Been to this particular Morton's on several occasions and this was my first not so good experience. It was very noisy because of a large very noisy crowd in the Bar. 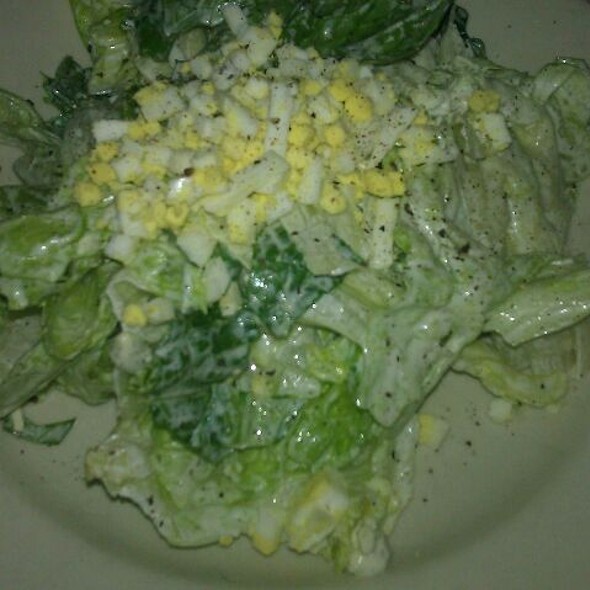 The food was very good as usual but the service was mediocre. Service was way below the professional level that you would expect for this type of place and this expense. Had to send steak back 1 time was under cook, but management came and was very polite. The element and and service was awesome but the time of the evening I do believe was not a good time maybe because of the ACC tournament and St Patrick's full day of extended activities. Overall the service and atmosphere was awesome. 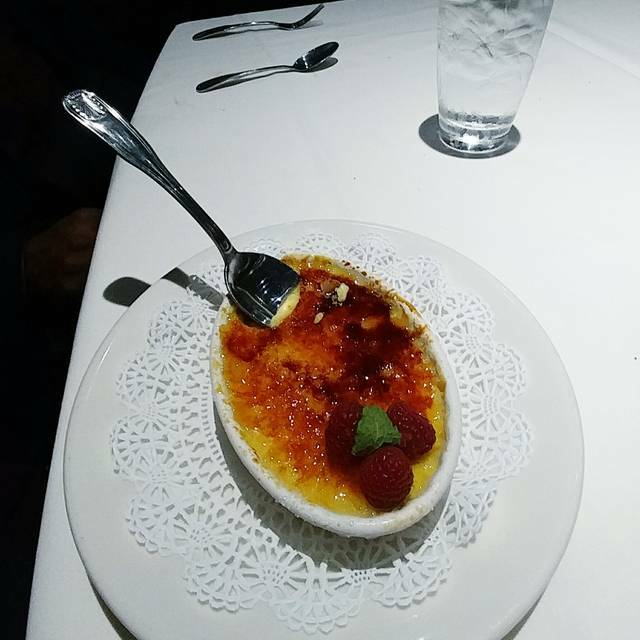 The food was not the best this time.....vegetables was over cooked and the dessert(Creme Brulee) was not serve fresh with the warm crisp crystallize topping ......although we did get it free. Crab cakes were delicious my husband lobster did not really have a taste but it was durable with the butter and lemon juice. There is so much competition with high end steak restaurants. I think I'd pass on this one next time. Very dark black inside and kind of depressing. Server was nice, but seemed distracted. When two women eat at a steak house, why does it seem you get better service when you are with a man. Weird. Ended up sitting at the bar as I was flying solo. Bartender was great! Drinks were awesome. My filet mignon was perfect. Manager even came out to talk, super nice guy and personable! Great dining experience! The service, food and waiter was fantastic. Next time I’m in Charlotte, I’d definitely go back. It was our first time at this establishment. Overall, we had a nice time. Our steaks were over cooked, however, it was corrected. Would have been nice for management to check on us afterwards but it was decent. 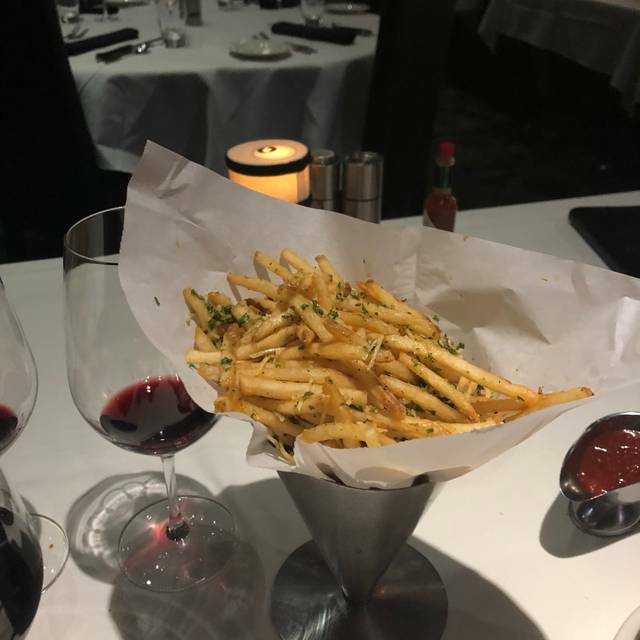 Filet Mignon, truffle fries, lobster macaroni and cheese, lump crab appetizer were great...Brussels sprouts were under cooked for my taste...atmosphere and service are always good here. Enjoyable 30th anniversary dinner for my wife and I. Meal was very good and our wait person, Sami, was fantastic - welcoming, knowledgeable and keen awareness of how often to check on us. The manger also stopped by our table which always reflects well on customer service. We got a gift card for a Christmas gift...still had to pay another $220 out of pocket. Not worth a$320 meal here. Sorry, my opinion. 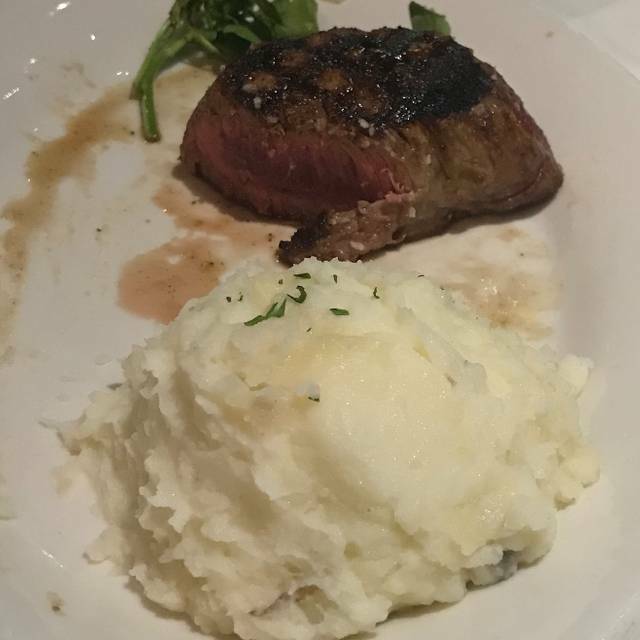 IT was a great experience, except for the fact that the 2 steak entrees were both totally done wrong (medium rare is a far cry from well-done, which at least one of the filets was). They took the steaks off the bill, but I would have rather had the steak I ordered than a free one. The kitchen at a place like Morton's should never make that mistake, let alone 2 of them at the same table. We had the best server, Bill. He was great. The manager came over and spoke with us. I have only one suggestion when it comes to serving old fashions, use those new ice cubes that don't melt and water down the drink. Christian was our server and he was amazing!!! He was very accommodating and made our experience even more better! Great place food and service out of this world . Took my girlfriend there for Valentine's day and have to say we had a great evening. The food was very well prepared. The waitstaff was attentive and informed. The drinks from the bar could have been better. What a great meal and experience! 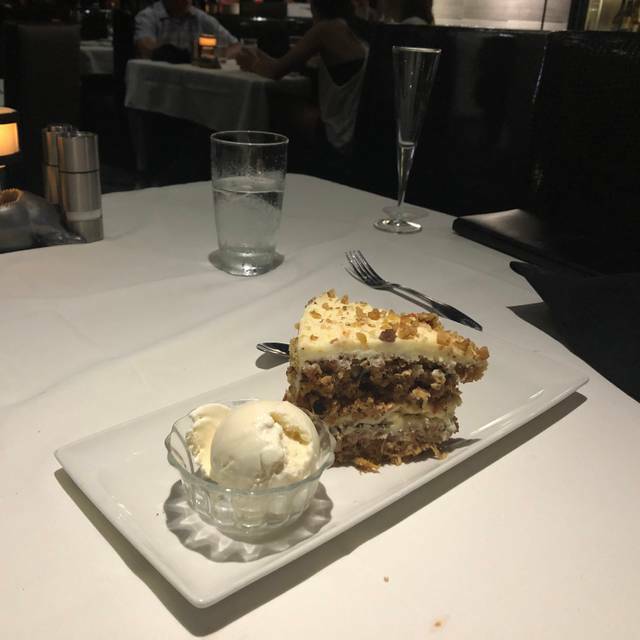 We went to Morton’s for Valentine’s Day and everything was top notch. 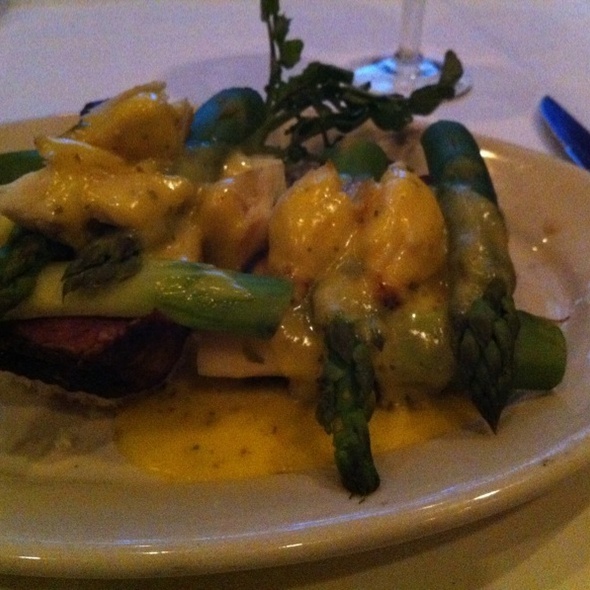 The staff was super friendly, our waiter Chris was outstanding and the food was excellent. I ordered the Cajun ribeye and I’m pretty sure I saw god. It. Was. Incredible! The best steak I’ve had in a very long time. Service just o.k. Side came when I was just finishing my steak. Best steak in town. Hands down. 3/4 steaks were cooked incorrectly 3 different times! 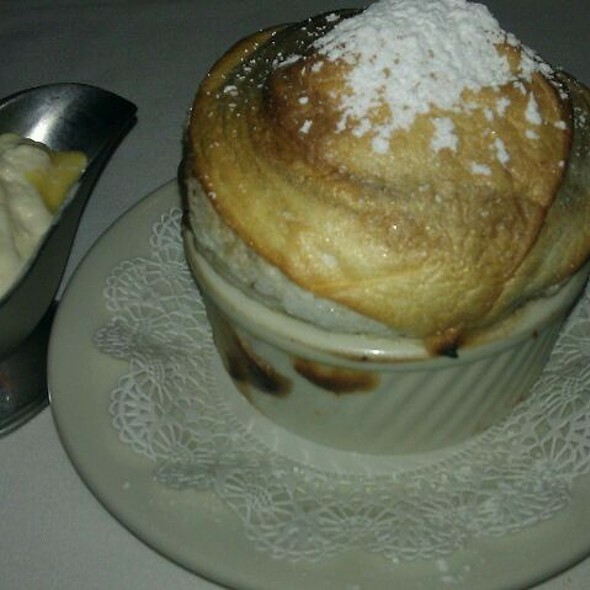 Morton’s provides a high quality food and service experience. Food was great , service was good. It’s a bit annoying to be charged a $35 corkage fee when you spend over $600 for a meal. Always friendly and courteous staff. My first time visiting, loved everything about it! 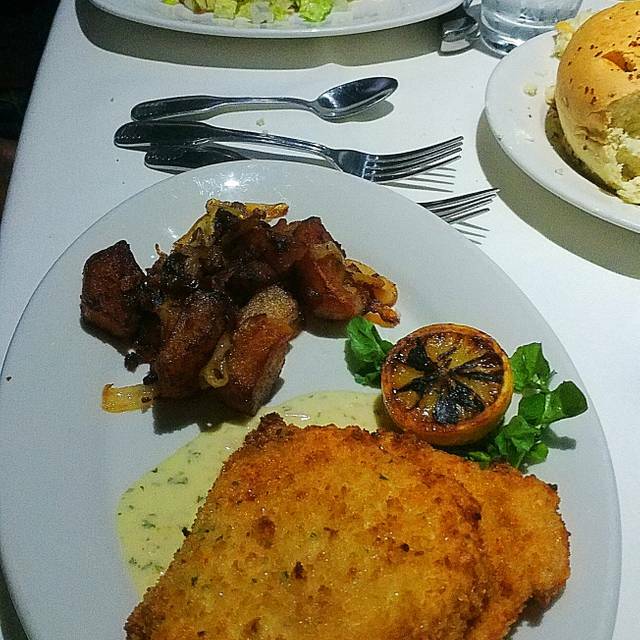 We were very please with Morton’s food. Thank your for a wonderful experience! Went for restaurant week so value was good, but if I had paid “menu” price for my experience, would probably be a 1-2 star rating. We both ordered the filet medium, I received a well done filet and my fiend received a NY Strip(?). Wouldn’t have been a problem, but the server didn’t check back after food was delivered for nearly 15 minutes. We had sat down about an hour before closing, so it wasn’t super busy, which meant no traffic for me to even flag down someone. We ended up just eating our meal due to the time and is being hungry. Amazing food. I have never experienced steak the way Morton’s does it! I will definitely be back. They have a wonderful Moscow Mule. The food was good but not worth the cost. Really great service. My girlfriend forgot her glasses and the waiter ran us down, which was appreciated. My girlfriends steak was excellently cooked, a perfect rare with a wonderful sear. My steak was slightly over cooked on the thinner side, but still delicious. Also, the bread they serve as the appetizer is the bomb. Could easily have eaten two or three of those. Really only issue was the slight overcooking of a small edge of my steak.